The masjid is open every day for the five daily prayers and jummah prayer is held Friday at mid-day (the time varies depending on the season). The mosque office is open 11:00 a.m. to 5:00 p.m. Monday and Thursday and 3:00 to 6:00 p.m. Tuesday and Wednesday. In addition to the daily prayers, the mosque also sponsors various educational programs for the children and adults of the Muslim community, including Qur’an and hadith studies. Some of the children at the mosque attend a full-time Islamic school, the Islamic Academy of Columbia. (There used to be a school at the mosque, but this school has recently combined with another area Islamic school to form the Islamic Academy of Columbia.) There is a weekend Islamic school program to teach the basics of the faith to children who do not attend full-time Islamic school. The mosque places great emphasis on reaching out to the larger Columbia community, sponsoring various educational events about Islam and some social events for the larger community. Volunteers from the mosque are involved in prison ministries, teaching inmates about Islam at the men and women’s prisons in Columbia. The group also runs a rehabilitation program for newly released inmates who became Muslim while incarcerated. This support system helps these individuals maintain their faith and reestablish themselves financially after their release. 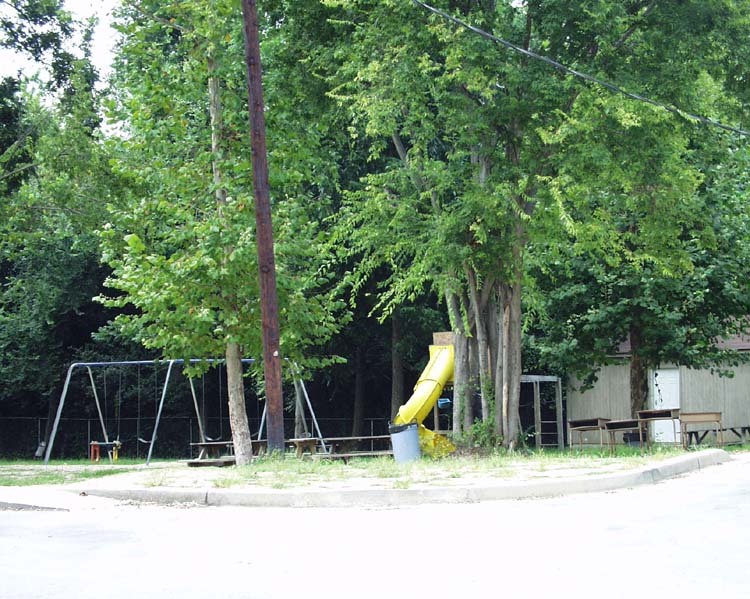 In the summer of 2003, Lutheran Family Services helped coordinate the relocation of a group of Bantu people to Cayce, S.C. (a surburb of Columbia). The Bantu are descendents of East African tribes who were taken to Somalia by Arab slave traders and are now fleeing persecution in that area. Masjid Al-Muslimiin has volunteered to adopt three of the Bantu families, many of whom are Muslim, by providing assistance with their integration into American life. Members of the mosque will contribute food and other necessary items to get the families started when they begin arriving in the fall of 2003, and will also help the families find jobs. As early as 1925, there were Muslim communities in America, as a result of immigration from Middle Eastern countries, especially Syria and Lebanon, according to Imam Adly. Most of these immigrants came to become involved in the American business market. Islam was also prevalent at the turn of the twentieth century in the African-American community, largely due to the fact that many Africans brought as slaves to the U.S. in the sixteenth and seventeeth centuries were Muslim and managed to continue to practice their religion under slavery. This influence is particularly strong in South Carolina, Adly said, because Charleston used to be a port on the slave trade. Some places in S.C. even have Arabic names as a result of the influence of these African Muslim communities, Adly said. In the late 1960s, more immigrants from the Middle East and India began coming to America, mainly to be educated in American universities and to practice medicine. By the 1980s, there was a group of Muslims in Columbia who were meeting in community members’ homes and offering classes about Islam and Muslims, Adly said. 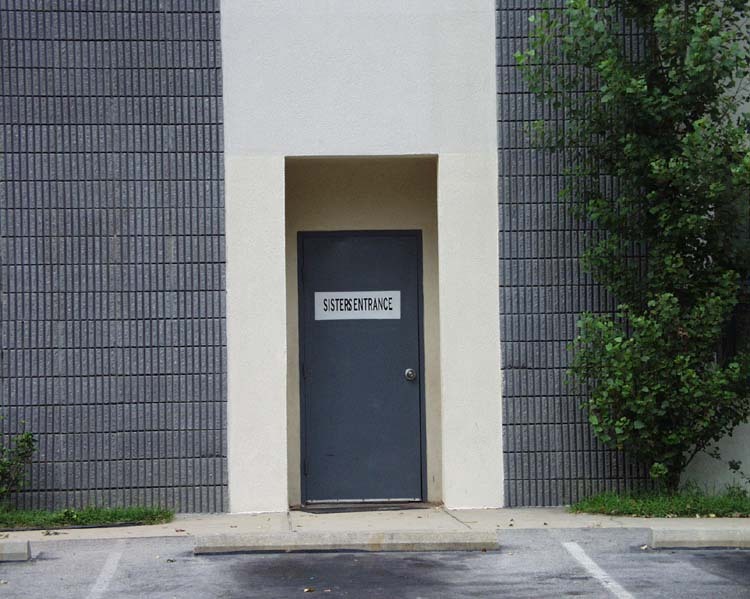 In 1982, the group decided there was a need for a center where everyone could meet, and the community was able to acquire an old office building on Gervais Street in downtown Columbia for this purpose. 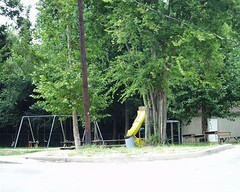 Adly said there was already a mosque in Columbia in 1982, but that mosque was affiliated with the Nation of Islam, whose teachings were different from what this community views as the original, historical Islam, so the community felt a need to establish their own mosque to promote the correct teachings. The group continued to meet in the converted office building mosque for almost 10 years before they were able to raise enough money to build their own originial structure from the ground up. That building was completed around 1992-93. 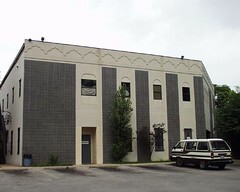 Ten years later, in 2003, the size of the community at Masjid Al-Muslimiin has grown so large that the mosque is considering purchasing a tract of land behind the current structure and expanding their facilites to include a larger prayer hall, which would be able to accomodate the several hundred Muslims who regularly attend the Friday jummah prayer. Currently, as Imam Adly’s daughter Salwa explained, the main prayer hall “fills up with men” on Friday afternoons, so the overflow population–some men, women and children–attend jummah prayer in the various classrooms and meeting rooms throughout the building. The larger structure, if built, would enable all the men and women to attend Friday prayer in the main prayer hall. The Masjid Al-Muslimiin (Islamic Center of Columbia) is located on Gervais Street, one of the main streets in Columbia that runs beside the State House and intersects Main Street in the central part of the city. 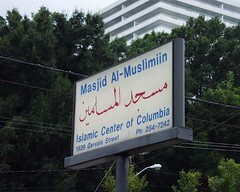 The mosque is located near Harden Street, which runs through the “college area” of the city known as Five Points. As such, the mosque is in a highly visible area, although the building itself is not as visible from the road because of foilage surrounding it. 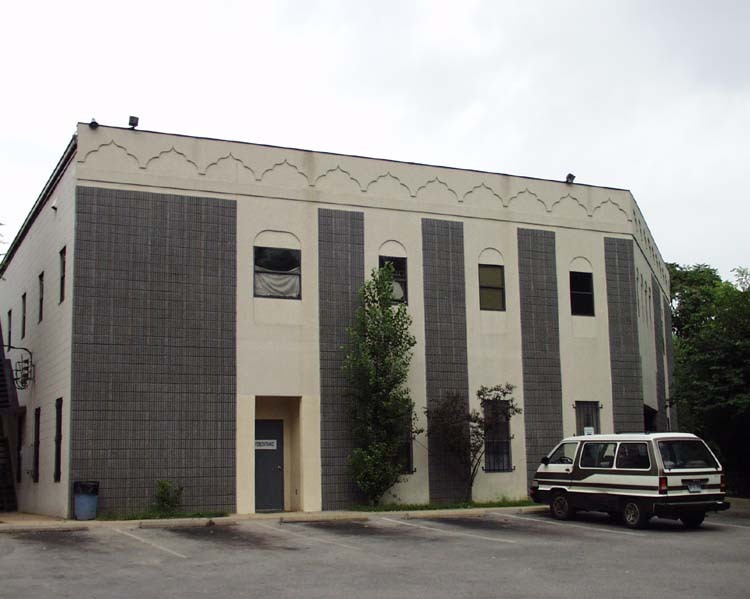 The outside of the Islamic Center is gray brick and white cement, decorated around the top perimeter with a design reminiscent of Arabic arches. Inside the main entrance (which is on the right side of the building as one faces it from the outside) is a small entranceway where shelves for placing shoes are located. Past this entranceway is a large foyer area. The imam’s office is directly to the right upon entering the foyer, and the prayer hall is straight ahead. Inside the prayer hall is a small stand where the imam delivers his Friday khutbah. The “Sisters Entrance” is located on the left side of the building from the outside. Inside this door is a small hallway in which there is a large set of shelves for placing shoes. Several small classrooms line the hallway, as well as a restroom facility that includes a wall of faucets for making wudu (ritual cleansing) before prayer. 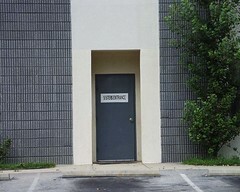 (The men’s restroom is located in the foyer area.) There is a small hallway that links the classroom area with the main prayer hall, and in this hallway is a small Islamic library. The upstairs of the Islamic Center houses facilities for the Islamic school which holds daily classes for kindergarten through third grade students. The upper level grades meet at another location. (The mosque used to have its own Islamic school but recently merged with another Columbia Islamic school to form the Islamic Academy of Columbia.) The upstairs school area consists of a large main meeting room/cafeteria with tile floors and four or five classrooms stemming off this area. The common room area has lockers like those one would see in a public school setting. There is a “main office” toward the front of the upstairs area that appears to be for the school administrator. Masjid Al-Muslimiin has participated in some events sponsored by Partners in Dialogue, a local interfaith organization, but on the whole have not been heavily involved with this group. Mizra Baig, treasurer of the mosque, said this is because they feel that dialogue tends to lead to compromise, and this is the one thing Islam will not allow them to do. Imam Adly stressed that the community does not wish to be enemies of non-Muslims by any means, but they also cannot say that non-Muslims are correct in their beliefs. If all faiths are equally valid, there would be no reason for someone to remain Muslim, Adly said. To avoid situations where they might feel pressured to compromise their faith, members of Masjid Al-Muslimiin tend to be more involved in educational activities promoting Islam rather than dialogue settings where all participants are understood to be on equal footing. For instance, the mosque has been involved in speaking to classes at USC about Islam, giving lectures at local churches that have asked someone from the mosque to explain Islam to their congregations, and spreading the word about Islam (giving da’wa to the Columbia community) in the streets. Adly said the Muslim community in Columbia has experienced both positive and negative changes in the relationship with the greater Columbia community since Sept. 11, 2001. Some people in the community showed more interest in learning about Islam, while others became more suspicious of the Muslim communities. On the whole, though, Adly said the negative reactions they did experience in Columbia were not as serious as in other areas of the country.